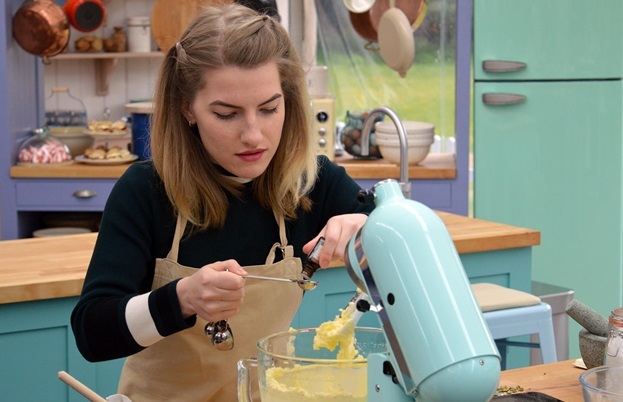 Week two in the Bake Off tent sees the eleven remaining contestants battle it out with biscuits – including a showstopper you can play with before you eat. 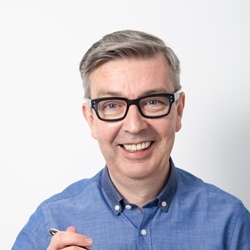 Howard Middleton gives us the low-down. The aroma of warm cookie dough cuts through that of damp canvas as we welcome biscuit week back in the tent. Sandi and Noel make an engagingly odd couple and seem very nearly on the verge of being able to comfortably ad lib. Another week or two perhaps? 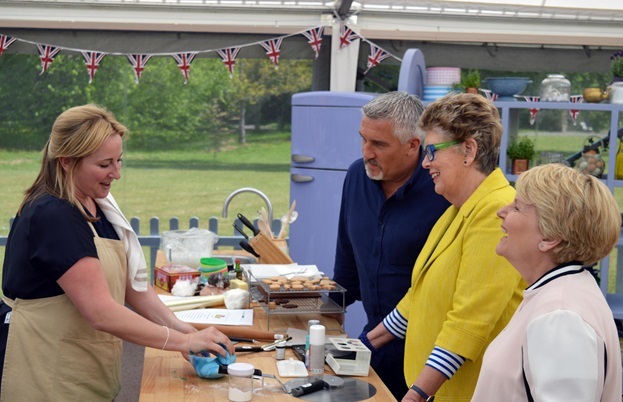 Paul says the signature bake of twenty-four sandwich biscuits is ‘devilishly… difficult’. He includes an unexplained pause between the two words like a man searching for an ad break… or a dictionary. Recounting the perils of the unbalanced biscuit, Paul reveals that ‘a hard biscuit with a soft interior will go all over your lap’. Dear Paul, try using a plate. Flo is making raspberry gin jam buttie biscuits, ingeniously shaping her biscuit ‘bread slices’ with a cutter made from a corned beef tin. Concerned that the gin will evaporate from the jam, Prue is reassured to discover Flo is adding more to the buttercream. ‘Clever girl’, she coos like a glamorously colour-blocking barfly, ‘bit of booze where we know we can taste it’. 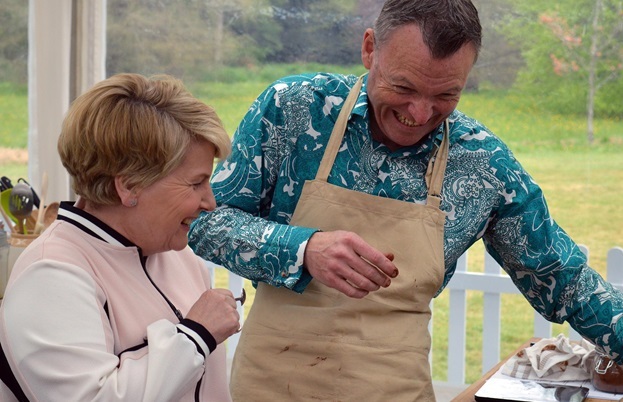 Sandi claims that the whisky caramel filling in Chris’s chocolate chia seed biscuits could potentially turn her sexuality in his direction. I fear for the prospect of ‘The Great Conversion Therapy Baking Book’. 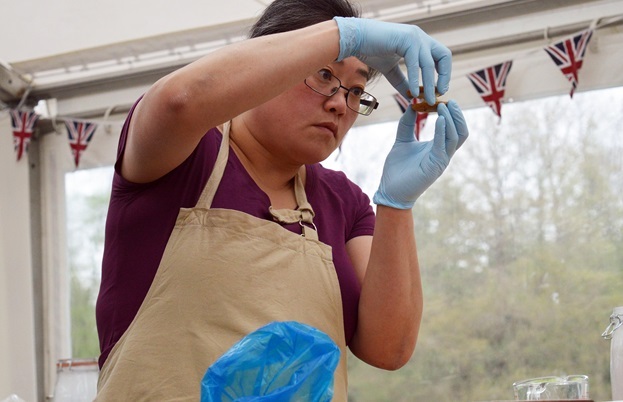 Yan thankfully dispels such nonsense with her proud peanut butter and banana biscuits inspired by her wife’s favourite flavours. They’re so near to being fantastic but just a little soft-hearted. It’s not the only tale of cookie love as Julia fondly recalls a Turkish holiday with her husband through the medium of pistachio and cardamom crackers sandwiched with a vanilla and rose jelly. Steven hints at a ‘romantic’ Italian encounter. His coffee cream filled ‘amarpressi’ biscuits are inspired by the memory of espresso and amaretti in Rome. It seems a curiously solitary ‘romance’. Tom is coincidentally crafting coffee and amaretto kisses. I hope for some baking flirtation between the two boys but alas… there is only a little mutual hand piping. Wobbling for all they’re worth, Paul looks at Julia’s biscuits and anxiously protects his lap in case of the dreaded filling spillage. Fortunately, Julia says the jelly only ‘dances’; unfortunately, the competing flavours are never going to be Strictly winners. 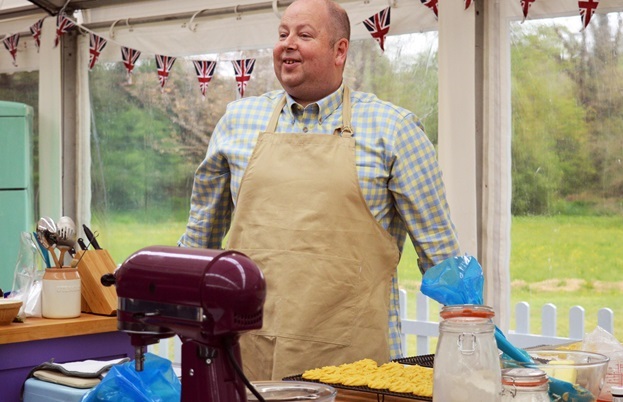 However, James’ rhubarb and custard Viennese whirls are judged to be ‘fantastic quality’. In what’s described as a ‘very rich, bitter chocolate biscuit’, Prue thinks the whisky filling is too much – ‘it’s got the concentration of a chocolate truffle’. This seems to me somewhat generalising of the mental stamina of chocolate truffles – I know some that are admittedly forgetful – always misplacing their keys and specs, but other truffles like nothing better than a bumper book of Sudoku. Sophie’s limoncino sandwich biscuits are impeccably neat and ‘beautifully tart’.‘What’s not to like?’ says Prue. Fearful of the glitter on Stacey’s chocolate and marshmallow fluff cookies, Paul claims ‘I’m not sure I want that metallic flavour in my mouth’. Frankly, the seasoned smoker has probably had worse things in his mouth. Munching on the sparkly bakes he has to admit that they’ve ‘ticked all the boxes’. Liam says he’s aiming for a ‘soft snap’ with his coffee buttercream-filled pecan and malt shortbreads. Though admittedly tasty, sadly he only achieves ‘squishy’ and ‘too chunky’. Kate, who is certainly good value on the story front, tells us the tale of the shell-shaped coconut biscuits once served on the Titanic. 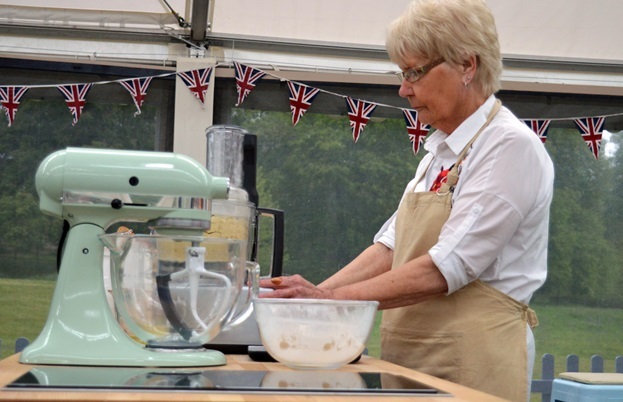 Her rum, cream and pineapple-filled bakes are tenuously inspired by the tenacity of a relative who worked in the ship’s engine room and thankfully survived the sinking. Sadly some ‘dodgy icing’ can’t rescue her dough. Paul says it’s so tough he thinks it’s picking a fight with him. The coffee and amorous amaretti boys are far more successful. Despite a slightly irregular finish Steven’s flavours are deemed to be ‘perfect’ and Tom’s bake is declared ‘a triumph’. On to the technical challenge, which is two small batches of fiddly fortune cookies. Freshly baked cookies should be shaped over the rim of a glass to make the classic crease. Sadly fortune does not favour the fold and the vague instructions leave Flo trying to stamp out shapes instead. Only Chris’s raw cookies fare worse as he takes the bottom place. Yan cracks open a cookie to reveal ‘You are number 1’. 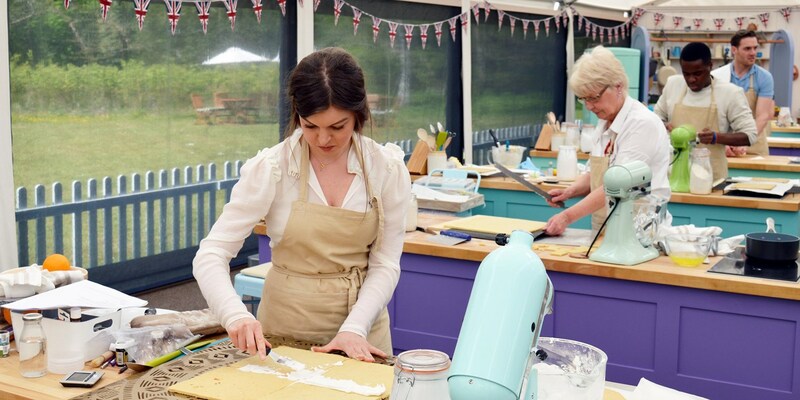 The fun continues for this week’s showstopper as the bakers are making biscuit board games. Julia and Yan are both making games with a baking theme. Flavoured with lime, ginger and cocoa, Julia’s biscuits are ‘delicious’ but their finish is ‘disappointing’. Yan also falls short with an ‘overworked’ lemon and matcha checkerboard. Kate’s Jumanji-inspired jungle game is flavoured with exotic ‘grains of paradise’, which we’re told is ‘an obscure ingredient she’d found in one of her history books’. Funny – I thought you could get it online from Sous Chef. Judging by the packaging I suspect Kate has too. Sophie’s snakes and ladders board has fifty chocolate biscuits and fifty flavoured with lemon and bergamot. It delivers a beautifully crispy ‘snap’, which seems like another game altogether. Stacey’s biscuit game is a sugar-laden bribe to compel her kids to ‘Get to School’. Flavoured with vanilla, chocolate and freeze-dried strawberries, Prue thinks it’s beautifully conceived but ‘the texture is wrong’ and the flavour is ‘not so wonderful’. Liam continues the school theme with his classroom compendium of games. Flavoured with lemon, honey, ginger and cinnamon, the judges think it tastes ‘delicious’ but looks a bit unfinished. Playful Paul (why was he never playful when I was around?) engages Liam in a quick game of noughts and crosses and even lets him win! James candidly tells us he needs to oil his cones well as he creates a spiced orange, chocolate and ginger shortbread version of the game ‘Coppit’. It’s praised for its ‘good texture’. Flo bravely battles to rescue her vanilla and almond ‘Operation’ game but time is not on her side. ‘I’ll just have to go like the clappers’ she says, barely managing to deliver a somewhat messy recovery. The patient looks reasonably comfortable but hardly stable. And then Prue says something so shocking that it would make Mary Berry fall off her bar stool, ‘You made your own fondant and you didn’t need to’. What?! The words many of us have waited eight series to hear. Yes, sensible, practical, realistic Prue acknowledges that it’s not always necessary to make everything from scratch. If you’re using a tablespoon of marmalade in a traybake, perhaps you don’t need to make a pan of the stuff. If you’re using a couple of blobs of date syrup do you really need to boil dates? Anyway, just saying for all those who might have suffered a little Berry disdain in the past. Not speaking from any personal experience. Of course, she’s lovely really. Architect Tom (sensibly using shop-bought fondant) has constructed a cinnamon and nutmeg game of drainpipes and ladders with chocolate and peppermint playing pieces. Its neat finish and spicy flavour just about compensate for a soft biscuit. Meanwhile back to Kate’s Jumanji which she now describes as ‘lemon and paracetamol’ (at least that’s what it sounds like). Either way, the grains of paradise have been lost in the jungle and her biscuit is ‘a bit solid’. Despite being praised by Prue on the impressiveness of his compass, Chris’s rum, ginger, orange and cardamom ‘Great British Sail Off’ suffers a maritime disaster. His hopes sink and he sadly sails off into the sunset. Steven takes the Star Baker gong for the second week with his coffee and gingerbread chess set and spiced orange biscuit board. Reaching for his trusty spray gun he achieves a level of finish that’s described as ‘sublime’ and ‘a little masterpiece’. Prue calls it ‘as neat as a pin’ and sighs wistfully in the face of such perfection. And so we anticipate the pummelling that is bread week. Will Steven be as good with a real loaf? Will he brandish his spray gun again in a Hollywood direction? I for one can’t wait to find out.